Leaving the comfort of our local stomping grounds, Hookedblog left Shoreditch over the weekend and ventured further East. Hopping onto the Chingford bound train from Bethnal Green station, a 20 minute train journey and we arrived at our destination station of Wood Street. This is the furtherest East we have been in some time, and with the address punched into google maps on our iphone we set off to catch up with the guys running the recently launched Wood Street Walls Project. While Shoreditch will always be seen as the centre for London street art, it's exciting to see pockets of street art popping up in other parts of the city beyond the Shoreditch boundaries. 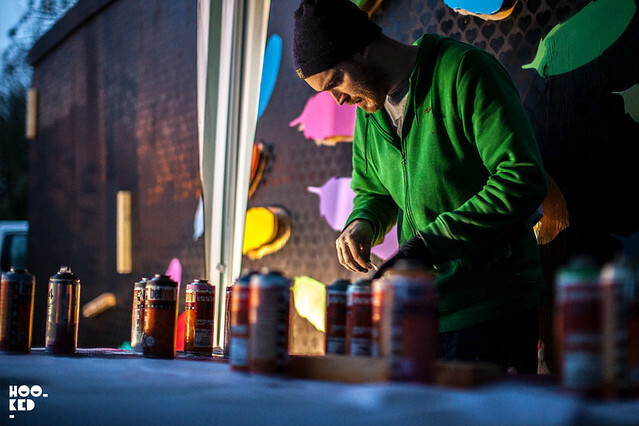 Looking to brighten up their neighbourhood with some street art is the Wood Street Walls Project. 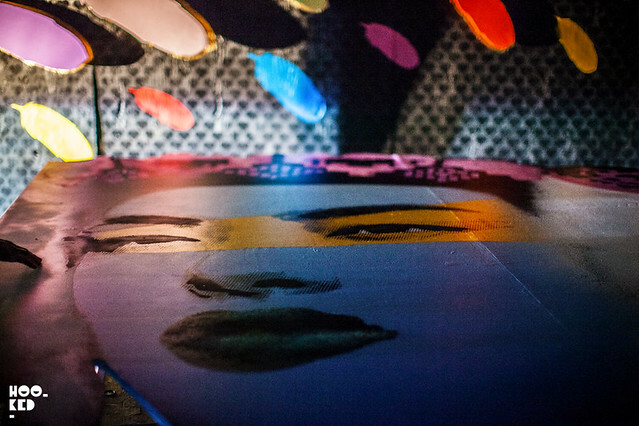 Inspired by art projects such as Wynwood Walls in Miami and the Bushwick Collective in Brooklyn, they hope to develop a similar community project in Walthamstow. 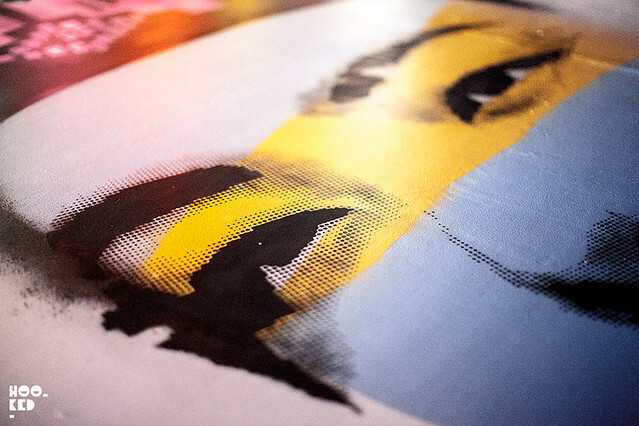 Based in the Wood Street & Walthamstow Area, Wood Street Walls founder Mark Clack has enlisted the help of local artists We Like Static for his first project. On our visit to the Ravenswood Industrial Estate, just a short walk from the Wood Street station we caught up with We Like Static as they were working on the first of many planned murals Mark wants to bring to the neighbourhood. 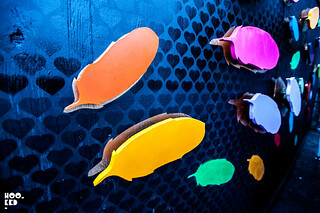 Tom Jackson and Craig Evans from We Like Static were creating a three dimensional mural for the site and had already installed the cut out wooden feathers to the wall when we arrived. 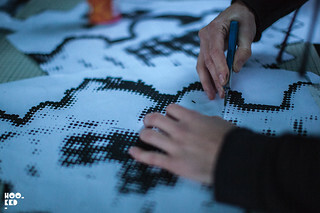 With the heavens opening up we all took shelter under a gazebo and watched the two artists at work as they hand cut a replacement stencil for the main feature piece of the wall after the first was lost to the rain. 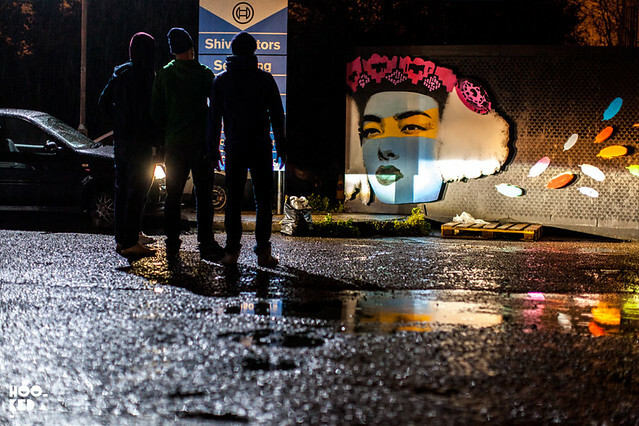 Despite the winter rain, falling temperatures and fading light the two artists worked late into the evening on the piece, with car headlights providing some much needed light and not forgetting some tasty beers from the Wild Card Brewery (we suggest trying their Jack of Clubs!) who are also based in the Ravenswood Industrial Estate. 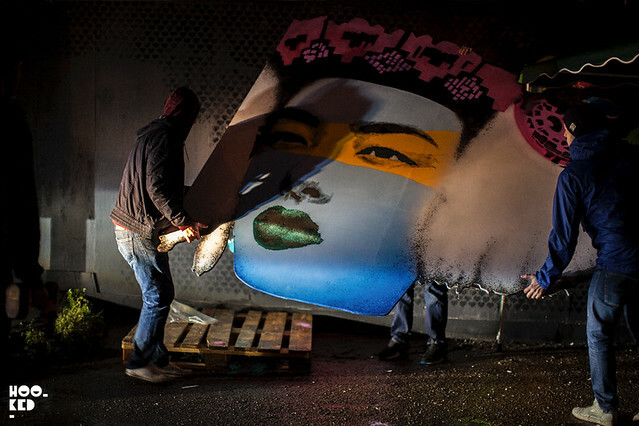 With the new stencil cut and the remaining details sprayed onto the piece, the large 3D female face cut-out was lifted into position by the team and fixed to the wall. We managed to capture one last picture of the piece in position, pictured up top before the car battery cut out and we lost what little light there was left. With work complete on the mural we retreated to the warmth of the Brewery for another beer and a chat with the artists and Mark from Wood Street Walls. We discover that plans are already in motion for a second mural, with a site in the area already secured. Mark also shared with us details of their plans to establish a new creative space for Wood Street's artist community. 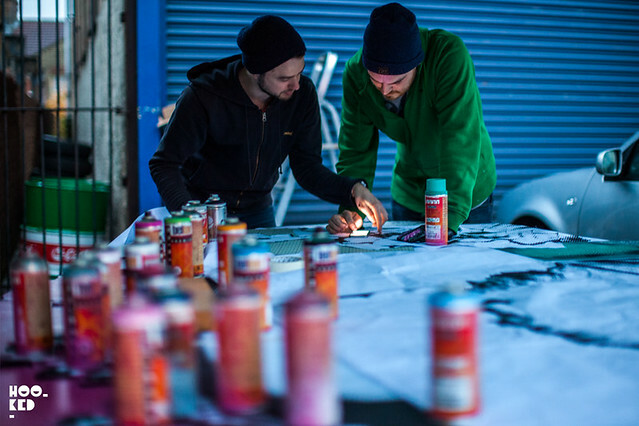 The mural Tom & Craig (We Like Static) created is the first step and also marks the launch of Mark's crowd funding project which plans to raise funds to revive the disused Manual Instruction Centre building, turning it into Wood Street Studios spaces. Alongside the much needed studio space for artists in the area, the space will also host free monthly workshops for the local community to encourage the next generation of young artists in Waltham Forest and the surrounding area. The crowd funding campaign is now live and you can show your support by donating to the project on their campaign website which includes all the details of the project. 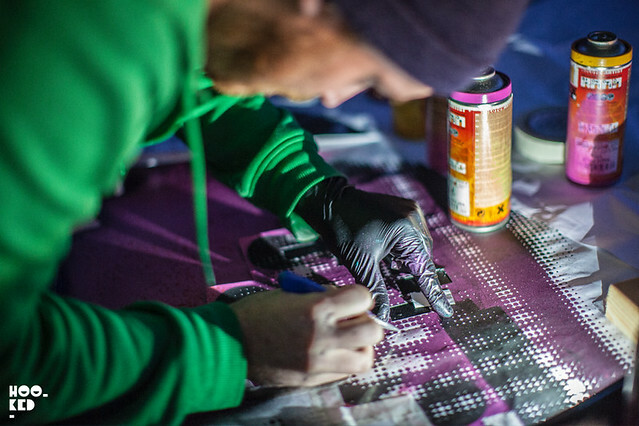 Stay tuned for more from Wood Street Walls and images of the finished We Like Static mural soon.